The sun has a very unique rotation that will be found on similar stars throughout the Universe. 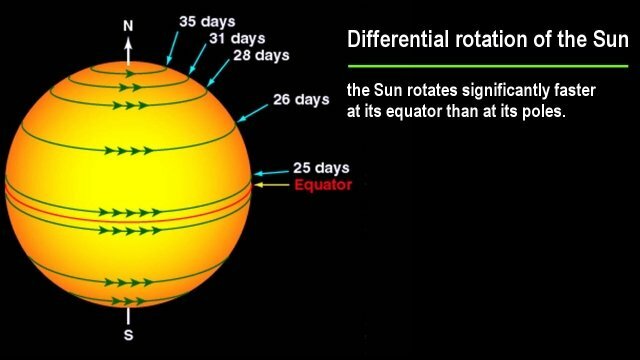 The equator rotates approximately every 24 days, however the poles rotate at around 30 days. This difference in rotation over millions and billions of years actually powers the internal combustion of the sun where hydrogen atoms the most common element in the Universe bond to become helium atoms the 2nd most common element in the Universe through this process.